The Harrier has been around since the 1960s, and remains one of the world's most versatile, remarkable and popular aircraft. Developed to operate without the need of a runway, the Harrier uses a unique system of four vectored-thrust nozzles and a number of small reaction control jets to allow vertical take-off and landing. Employed in theatres of war all over the world, the Harrier is perhaps the most famous (in its Royal Navy Sea Harrier guise) for its part in the Falklands War and with British and American forces in the Gulf conflict. The Harrier is still an important front line type in the 21st century. 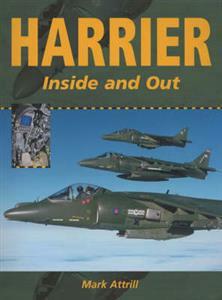 This book provides the reader with a wealth of photographic detail of the major Harrier variants. Showing important but seldom-seen details, this book should be useful to any aircraft enthusiast or modeller.